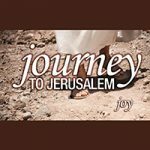 Jesus teaches on the cost of discipleship while traveling to Jerusalem. It leaves no room for excuses when the invitation comes. In order to experience joy, we are to respond.